When we think of competitive sport, such as football, rugby and hockey they tend to be quite male dominated. But women are showing up and showing out within the sports world, showing that competitive sport isn’t just for men. Only 5% of sports media coverage features women, and when they are included, a lot of the time they’re overly sexualised. 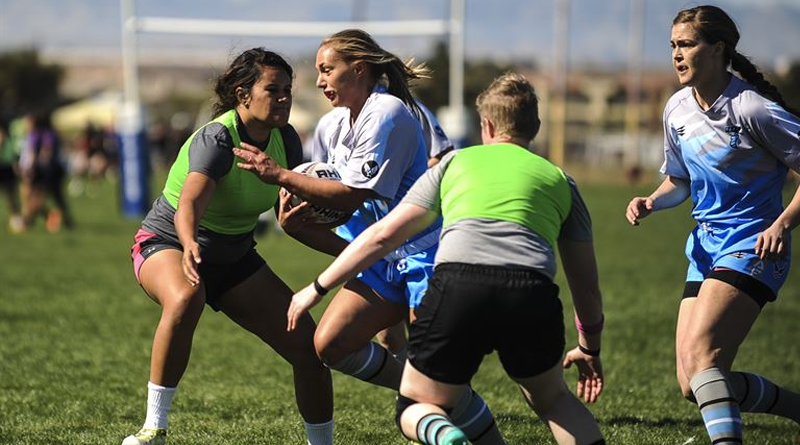 With women in sport, their game play is never the only focus. Women are reduced to comments about their bodies and their personal relationships. This video from Cover the Athlete, includes the reactions of men being asked the same questions women in the sports industry are asked. Something’s wrong with media coverage of female athletes. Sexist commentary, inappropriate interview questions, and articles commenting on physical appearance not only trivializes a woman’s accomplishments, but also sends a message that a woman’s value is based on her looks, not her ability. And it’s much too commonplace. Sonia Randev, CEO of Slick Sports Agency and presenter of The Sports Weekly Showm spoke about her experience as a woman in the sports industry. “I’ve been involved in sports from the age of 15, I got filmed by the BBC playing basketball and was the fastest girl in my year,” she said. Sonia also aims to empower the next generation which is her reasoning behind the launch of Slick Sports. “I worked at talkSPORT and was the first Asian girl to be employed on the sales team,” she said. The women of CCCU were also inspired by #ThisGirlCan this week. 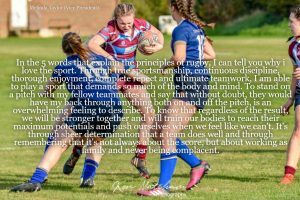 Some of the Women’s Rugby shared their thoughts on how sport makes them feel.